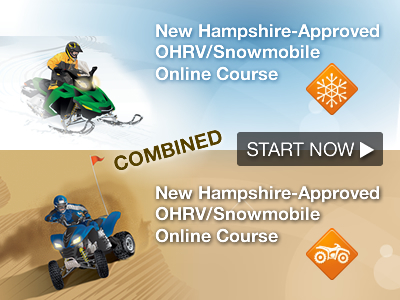 The official online New Hampshire OHRV/Snowmobile Rider education course covers all the information you’ll need to know to obtain your New Hampshire Rider Certificate. The entire course can be taken on a smartphone, tablet or computer. 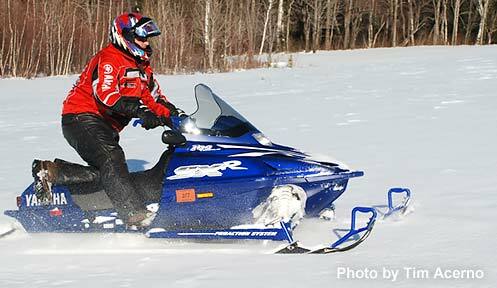 Your official New Hampshire OHRV/Snowmobile Rider certificate will arrive by mail in 2-3 weeks. Students and parents may review the online course material at no charge. The $29.50 course fee will not be charged until the student successfully completes the online course and initiates printing of the temporary certificate. The course fee is paid directly to the online vendor Kalkomey. No funds are directed to the NH Fish and Game Department. Sign up and take the online class today!